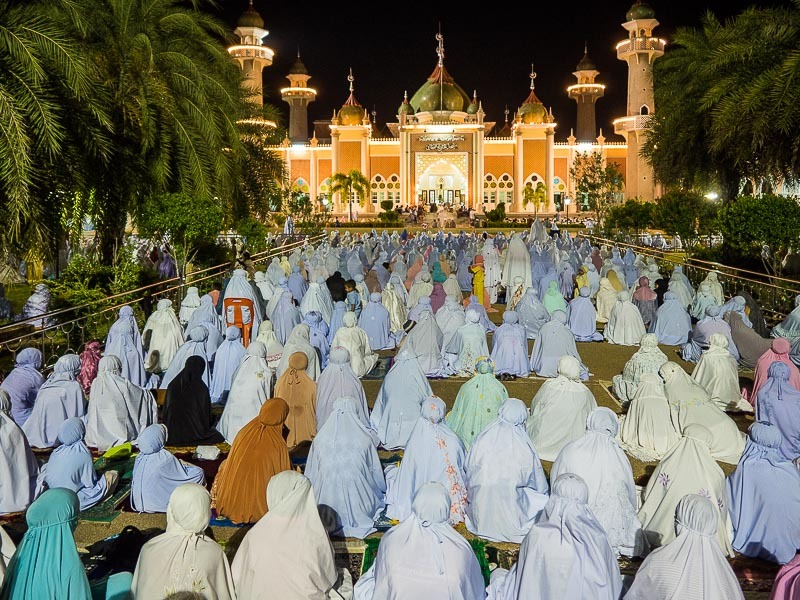 Women fill the plaza in front of Pattani Central Mosque on the first night of Ramadan. I think this is one of the most beautiful mosques in Thailand. 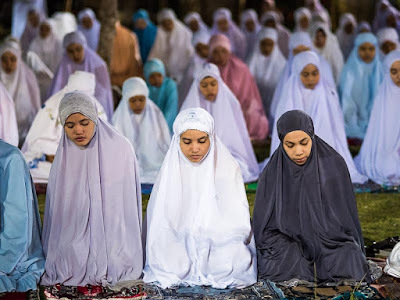 Ramadan, the ninth month of the Islamic calendar, is the most important month in the Muslim world. 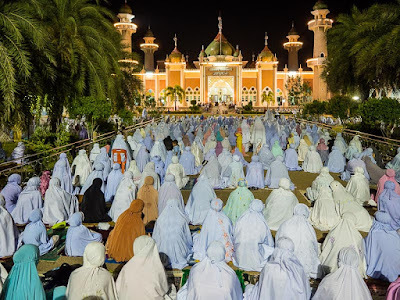 It is observed by Muslims worldwide as a month of fasting to commemorate the first revelation of the Quran to Muhammad. 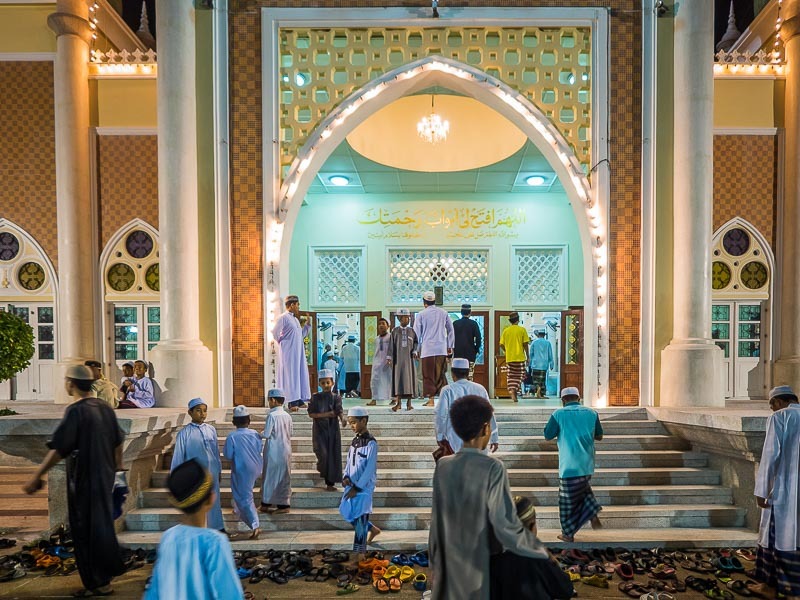 This annual observance is regarded as one of the Five Pillars of Islam. 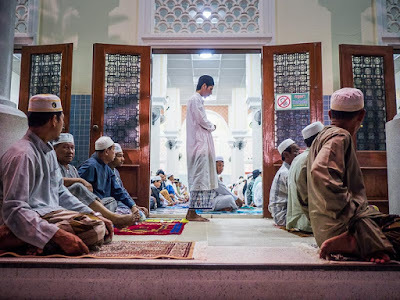 Most of the people in Thailand's "Deep South" are Muslim and they flock to mosques throughout the region for services on the first night of Ramadan. In Pattani they pack the Central Mosque, the second largest mosque in Thailand. The crowd frequently spills out into the street. Men walk into the front door of the mosque. Men at prayer in the mosque. Men and women pray separately. Women pray in the plaza in front of the mosque or on the lawn in front of the mosque. There are more photos from the first day of Ramadan in my archive.